Trademarks have their origin in ancient history. Manufacturers and artisans would place a mark on the goods they produced to distinguish it from competitors’ goods. English common law recognized a tort (of unfair competition or passing off) for deceiving consumers by placing a competitor’s mark on your product. The first recorded case in English law covering trademarks is Southern v. How, Popham 143, 79Eng. Reprint 1243, first reported in 1656. The starting point forUS trademark law is the English common law on trademarks. The policy behind trademark law is to prevent people from profiting by deceiving consumers as to the origin of a good. In order to deceive a consumer the owner of the mark must have established in the marketplace that consumers associate the mark with the manufacturer’s goods. Trademarks can develop into incredibly important intellectual property assets. Image if McDonalds did not have an exclusive right to the name McDonalds ®. How much would a franchisee be willing to pay for a franchise that had no exclusive right to the name McDonald’s ®? Coca Cola company has a market capitalization of $110.4 Billion and total tangible assets of $25.3 B. Thus the market values Coca-Cola’s intangible assets at $85.1 B. Coca-Cola has two main intangible assets, its “secret formula” and its trademarks (Coke ® and Coca Cola ®). The “secret formula” can probably be duplicated and therefor the trademarks probably account for most of the value of the intangible assets. Trademarks are still recognized under the common law of most states. The court will recognize a company’s trademark if they can show that relevant consumers associate the mark with the company. When a company wants to let the world know that they believe they have rights in a mark, they use the ™ symbol with their mark. This puts the world on notice that the company believes they have rights in that mark. Note that the SM symbol may be used with a mark designating a service. The law for service marks SM and trademark ™ is essentially the same. In this post when I use the term trademark it means both trademarks and service marks. In addition to common law trademarks, many states have statutory and registration processes. This post will not focus on individual state registrations. A federal trademark law was enacted in 1879 and found unconstitutional. This effort was followed up by a trademark Act in 1881. The present trademark statutes can be found at 15 USC § 1051 et seq. and are commonly referred to as the Lanham Act. It is important to remember that the federal trademark statute only applies to trademarks used in interstate commerce. This is because Congress only has the right to regulate interstate commerce under the constitution, US Constitution at Article 1, Section 8, Clause 3. The Lanham Act provides for registration of marks used in interstate commerce. 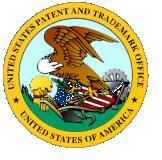 When a mark is registered with the US trademark office, the owner may now use the ® symbol with their mark. A federal registration has a number of advantages over relying on common law trademark rights. For instance, by obtaining a federal registration it is a non-rebuttable “legal assumption” that the owner of the mark is using the mark through all states and territories of theUnited States. 15 USC §1057(c). Federal registration of a mark also provides the owner with prima facie evidence of the right to use the mark exclusively. 15 USC §1155(a). The term of a trademark is indefinite, however federal registrations must be renewed every ten years. 15 USC § 1059. A trademark terminates when the owner abandons the mark. The statute defines abandonment as three consecutive years of non-use. 15 USC §1127.